9 March 2017, New York–The Secretary-General today released his report on Special Measures for Protection from Sexual Exploitation and Abuse: A New Approach for consideration by the General Assembly. During his first week in office, in January 2017, the Secretary-General established a diverse High-Level Task Force, led by his Special Coordinator Jane Holl Lute, to develop as a matter of urgency a strategy to achieve visible and measurable improvements in the way the Organization prevents and responds to sexual exploitation and abuse. Raising awareness and sharing best practices to end this scourge. You may view the S-G’s video message here. This entry was posted in UN System-Wide Press Releases on March 9, 2017 by teresadebuque. The Secretariat of the United Nations (UN) is requesting nominations for the generic position of Special Representative of the Secretary-General (SRSG) and Deputy Special Representative of the Secretary-General (DSRSG) Political and/or for the Rule of Law in United Nations field missions/peace operations. Special Representatives of the Secretary-General and their deputies serving in field missions are appointed by the Secretary-General. These high level leadership posts are graded at the level of Under-Secretary-General (USG) or Assistant Secretary-General (ASG). In order to ensure a wide pool of candidates for these high level positions, the UN is opening a call for nominations to identify the most talented men and women to lead our UN field missions. This call supplements the Secretary-General’s own search and consultations. Nominations must include a CV and vision statement and be submitted via the online platform https://leadershipcall.unmissions.org/ no later than 15 April 2017. This entry was posted in UN System-Wide Press Releases on February 28, 2017 by teresadebuque. This entry was posted in UN System-Wide Press Releases on February 6, 2017 by teresadebuque. GENEVA (8 December 2016) – “Unprecedented pressure on international human rights standards risks unravelling the unique set of protections set in place after the end of World War II,” according to UN High Commissioner for Human Rights, Zeid Ra’ad Al Hussein. Speaking in the run-up to Human Rights Day on 10 December, Zeid also stressed it was within the power of every individual to play a role in pushing back against such pressures, and that many are already doing so. “2016 has been a disastrous year for human rights across the globe, and if the growing erosion of the carefully constructed system of human rights and rule of law continues to gather momentum, ultimately everyone will suffer,” Zeid said. The UN human rights chief urged people everywhere to defend a system that was designed precisely with the aim of making the world a better place for everyone. “A world where people focus only on the needs of their narrow social, national or religious group, and ignore or attack the equal needs of others, is a world which can very quickly descend into misery and chaos,” Zeid said. “Human rights are the basis of effective policy, in societies where people know they can trust government and rely on the law. Tearing up the laws and institutions that were so painstakingly built up over the last half of the 20th century – designed to protect all individuals, as well as promote stability and economic well-being – is shortsighted and dangerous. These are not trifles to be tossed aside for personal or political gain,” he added. This entry was posted in UN System-Wide Press Releases on December 9, 2016 by teresadebuque. The Centre for Human Rights at the University of Pretoria, South Africa, in collaboration with the Office of the United Nations High Commissioner for Human Rights and other partners, is organizing the 9th Nelson Mandela World Human Rights Moot Court Competition at the Palais des Nations in Geneva from 18 to 21 July 2017. The competition, which is held in English, is open to undergraduate and masters law students from universities around the world. Students are invited to argue a hypothetical human rights case before a panel of top international lawyers. The competition is expected to bring together up to 75 participants from as many as 25 universities representing the five UN regional groups. The deadline for registration is 12 June 2017. The rules of procedure, the hypothetical case, and registration details are available at www.chr.up.ac.za/worldmoot. The attached poster and invitation by the University of Pretoria also provide more details. As a new feature, the 2017 edition of the competition will include a one-day event designed to expose students to the work of the Office of the United Nations High Commissioner for Human Rights as well as the Human Rights Council. This will involve personal interaction with senior staff members of both institutions who are involved in key activities and processes. The World Human Rights Moot Court Competition has been presented every year for the last eight years, and has become a leading human rights educational event. It is unique in bringing together some of the brightest law students from universities around the globe to debate contemporary human rights issues on the basis of a common UN human rights system, influenced by national and regional perspectives and experiences. The executors of the estate of Nelson Mandela in 2014 agreed to have the competition renamed after him, and the competition will be promoted in the context of Nelson Mandela International Day (18 July). For further information, please contact the coordinator at the University of Pretoria, Mr. Eduardo Kapapelo (eduardo.kapapelo@up.ac.za). This entry was posted in UN System-Wide Press Releases on November 17, 2016 by teresadebuque. GENEVA (23 September 2016) – The UN Committee on Economic, Social and Cultural Rights is due to review the Philippines on Wednesday 28 and Thursday 29 September. The Philippines is one of the 164 States* that have ratified the International Covenant on Economic, Social and Cultural Rights (ICESCR) and so is required to undergo regular review by the Committee. The Committee, which is composed of 18 independent human rights experts, will discuss a range of issues relating to the Philippines’ implementation of the ICESCR with a Philippine delegation. The Committee’s meetings with the delegation are public and will take place on 28 September from 15:00 to 18:00 (21:00 to 24:00 in Manila) and on 29 September from 10:00 to 13:00 (16:00 to 19:00) in Room XVI at Palais des Nations in Geneva. The meetings are public and will be webcast at http://webtv.un.org/. The Committee will issue its findings on the Philippines and the other States being reviewed – Costa Rica, Cyprus, Poland, Tunisia, Lebanon, Dominican Republic – on 10 October and publish them at the above link. This entry was posted in UN System-Wide Press Releases on September 28, 2016 by teresadebuque. The first Sustainable Development Goals Report will be launched by the UN Secretary-General Ban Ki-moon on Tuesday, 19 July at 3.00 pm during the opening of the High-level Segment of ECOSOC in New York. The event will be webcast live at webtv.un.org. While the Goals were only launched seven months ago—too short a period for a proper assessment of progress—the Sustainable Development Goals Report 2016, using available data, looks at the successes, as well as the gaps in addressing global challenges, and provides a clear picture of what the international community needs to do to achieve the Goals and ensure that no one is left behind. 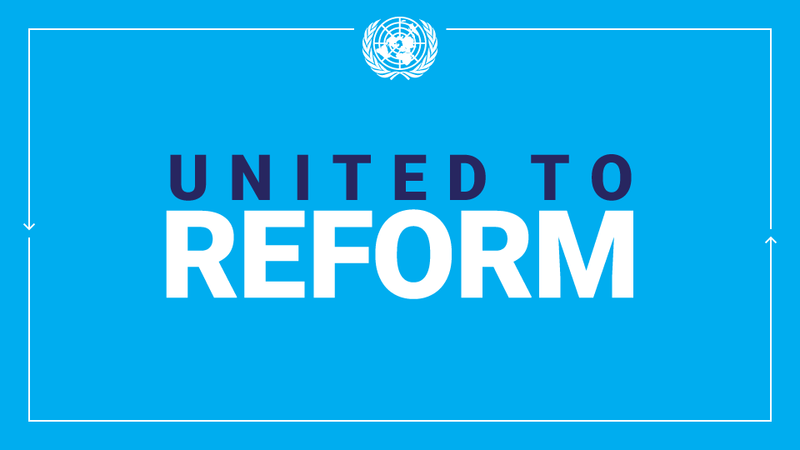 A press briefing on the report will take place on Wednesday, 20th July at 11.00 am at UN Headquarters in New York and may be followed via webtv.un.org. This entry was posted in UN System-Wide Press Releases on July 19, 2016 by teresadebuque. New York, 11 April — A record number of countries are expected to sign the historic climate agreement adopted last December in Paris at a signing ceremony hosted by United Nations Secretary-General Ban Ki-moon on 22 April. More than 130 countries have confirmed that they will sign the Paris Agreement on 22 April, the first day that the agreement will be open for signature. This would surpass the previous record of 119 signatures for an opening day signing for an international agreement, set by the Law of the Sea in Montego Bay in 1982. In addition, more countries have informally indicated that they will sign the agreement, with the numbers increasing rapidly each week. Over 60 Heads of State and Government will attend the ceremony, including French President François Hollande, demonstrating the continued high level of engagement by world leaders to accept and implement the Paris Agreement. The signing ceremony will mark the first step toward ensuring that the Paris Agreement enters into force as early as possible. The agreement will enter into force 30 days after at least 55 countries, accounting for 55 per cent of global greenhouse gas emissions, deposit their instruments of ratification or acceptance with the Secretary-General. A number of countries have also indicated that they will deposit their instruments of ratification immediately after signing the agreement on 22 April. The 22 April signing ceremony will also bring together leaders from civil society and the private sector to discuss efforts to boost financing for climate action and sustainable development, and to increase actions that would achieve the Paris Agreement’s goal of limiting average global temperature rise to well below 2 degrees Celsius. This entry was posted in UN System-Wide Press Releases on April 11, 2016 by teresadebuque.